We are looking forward to meet you at maintenance NEXT on 9th, 10th and 11th April in Rotterdam! With CONEXO, we offer an RFID system architecture that enables clear identification of wearing parts, paperless maintenance and process documentation. In addition, prior to implementation, we provide support for data preparation and selecting the appropriate software and hardware components, and we coordinate integration into existing maintenance or ERP systems. If you want to clearly identify and track your wearing parts and access all relevant data directly at the component, equip your products with our CONEXO tags. The RFID chips can be used in a variety of applications, such as stainless steel lead seals, tag-in-metal or RFID adhesive labels. 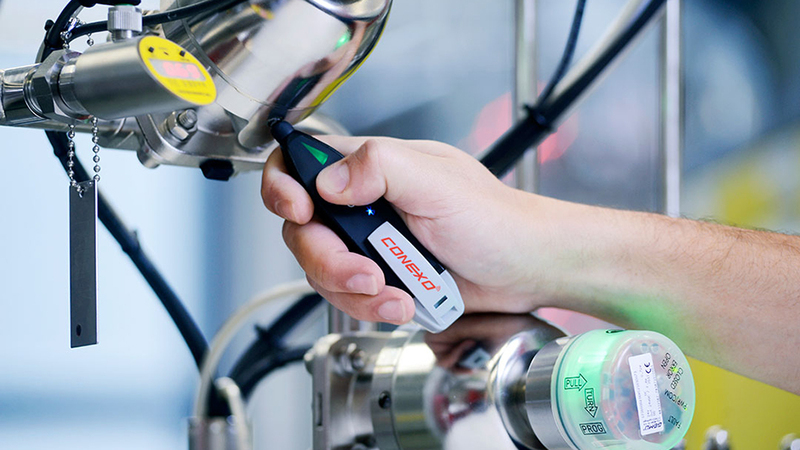 The CONEXO pen, our RFID reader developed in-house, can be used to identify components even in difficult-to-access locations. 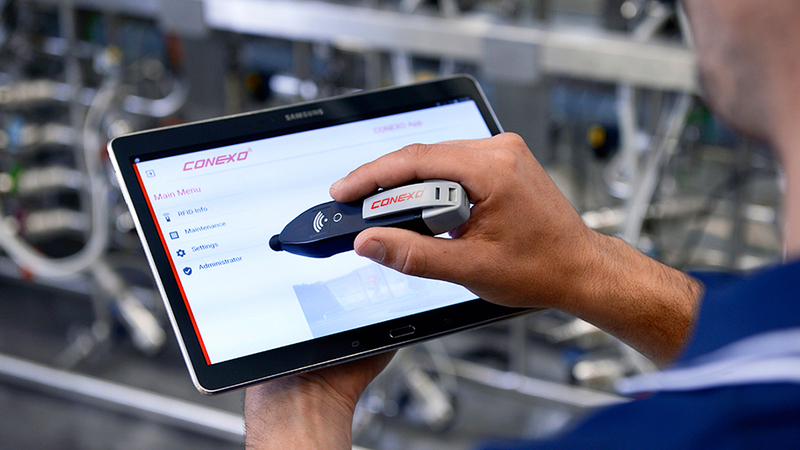 If you want to create comprehensive and reliable maintenance processes down to the component level, our CONEXO app provides step-by-step guidance for maintenance technicians through fully customizable maintenance workflows. Clear identification of components, coupled with innovative elements such as photo documentation or assessment schemes, ensures transparent and reliable maintenance. The recorded data can then be processed electronically. "When plant components learn to speak"
With the spin-off company inevvo solutions, results such as tagging methods developed in-house are now also being used for other "mute" components. In an interview and a presentation of around 20 minutes at the cav InnovationsFORUM, Marcus Ripsam explains how the development has occurred, with reference to the use of CONEXO in particular. This ranges from numerous attachment options all the way through to the synchronization of data for mobile application use. If you want to gather, manage and analyze all of the maintenance data and documents for your plant in one place, you can use our CONEXO Portal, which provides a central collection point for all data that you can access from anywhere. It also enables you to store photos, certificates, instructions, test results or free text files and view them on mobile devices. You can use the electronically stored data as a basis for further analysis. If you are looking for a reliable partner to guide you through your first steps towards Industry 4.0, our experienced interdisciplinary team can support you from evaluating your current situation to defining all functions and procedures through to implementing your customized solution. We look forward to receiving your request. Our roots are in complex applications such as cleaning or CIP/SIP processes. This is why inevvo solutions can offer you reliable hardware components developed in-house as well as a proven software package that is already successfully in use..
Do you need a solution to ensure clear traceability of your components? Do you need a solution for cataloguing and managing your building and office equipment? Do you need a customized solution for your specific application? inevvo solutions was founded in 2018 as a subsidiary of the GEMÜ Group. We are an interdisciplinary team of software engineers, mechanical engineers and industrial engineers and we specialize in complete RFID system solutions for industrial applications. We believe that this technology has enormous potential even beyond the valve market and our aim as an independent organizational unit is to be able to react to stringent market requirements with a quick and agile approach. Our offices are located in the GEMÜ Dome in Waldzimmern in Niedernhall, Germany, and this physical proximity to other parts of the GEMÜ Group enables us to benefit substantially from their development and application expertise and manufacturing experience. 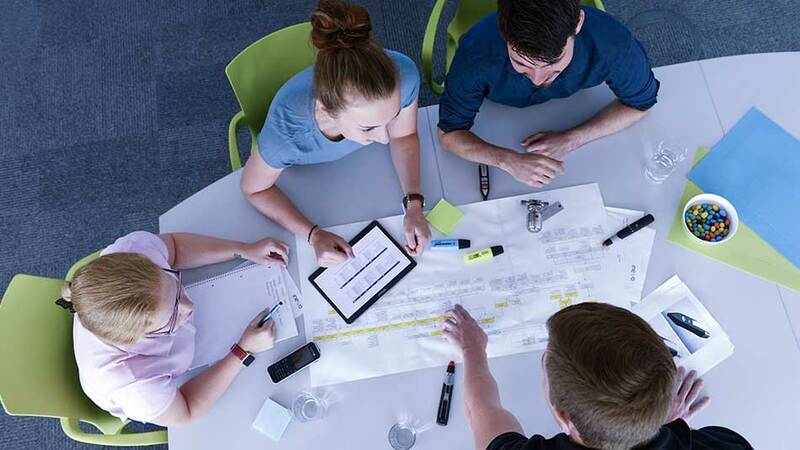 Our flat organizational structures and agile processes enable us to react to your ideas and needs quickly and flexibly. We are always looking for qualified team members. Take a look at our current vacancies. Even if we are not currently advertising a vacancy that suits your expertise, we are happy to receive a speculative application.